Since the major offensives by the Ukrainian Army (UA) in the Summer of 2014 and the Spring of 2015, every few months rumors and even official announcements about impending attacks have circulated. In the Spring of 2018, there are again expectations and preparations for "The Big One", a full military assault by the UA against the Novorussian Armed Forces (NAF) defending the Donetsk and Lugansk People's Republics. Recent developments in Ukraine and abroad, such as the open delivery of weapons by the USA and Canada to Ukraine, the "Re-intigration Law" and political unrest in Ukraine, the continuous and escalating provocations by the USA against Russia and the upcoming presidential elections and FIFA football championships in Russia make the timing seem ripe for a major military offensive against the Republics by the UA. All of this makes the recent predictions of imminent war all the more credible. Most people whom I have spoken with on the Front, both civilians and soldiers, expect that this time the attack will be for real. The boy in the legend falsely cried "Wolf!" many times, but eventually, the wolf did come. And many people here who are qualified to have an opinion say this time the wolf is coming. This article will compare the manpower and military arsenals of the Ukrainian Army and the Novorussian Armed Forces, the disparity between them, and the implications of these facts. The following estimates are based on multiple sources from Ukraine, Russia, the USA, NATO and Europe. Some estimates varied widely between sources but all sources are from 2017 and represent the latest publicly available information. Whatever discrepancies there may be between the estimates and the actual arsenals, manpower and military capabilities of the UA and NAF, it is quite clear the UA enjoys significant advantages over the NAF in every field measured. We will investigate these advantages in detail, then explore the implications. Ukraine has a landmass of 603,000 square kilometers and a population of 36 million people. (Not counting Crimea and Donbass Republics.) 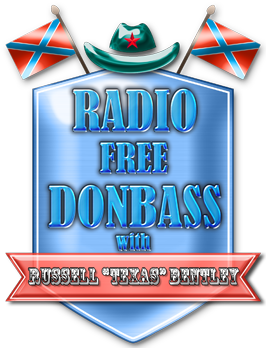 The Donbass Republics have a combined landmass of 30,000 square kilometers and a population of about 6 million people. The "contact line" between the UA and NAF runs 300 Km, from Mariupol to northeast of Lugansk city. The UA military budget is between $5 and $6 Billion USD per year, (6% GDP) supplemented with military aid from the USA ($350 million/year). The UA is the 23rd largest army in the world in terms of manpower. It has 260,000 active military personnel and 80,000 reserves, making it bigger than the armies of France, the UK or Israel. The NAF has 35,000 soldiers on active duty and another 30,000 in the reserves. This gives the UA a 7 to 1 advantage in active duty soldiers and a 5 to 1 advantage in total active and reserve soldiers. The UA has 100,000 soldiers on the contact line, facing 25,000 soldiers of the NAF, for a 4 to 1 advantage. Standard military doctrine dictates an assault force should have a 3:1 advantage to successfully defeat dug in defenders, but according to a 1986 survey of 600 land battles from 1600 to 1973 by the US Army Concepts Analysis Agency, at a 1:1 ratio, attackers won close to 50% of the time, and when the odds were greater than 3:1, attackers won 76% of the time. The UA holds an advantage in manpower over the NAF "greater than 3 to 1", between 4 to 1 and 7 to 1. Ukraine began 2014 with 83 T-64BM and 700 T-64BV operational MBT's. But since the beginning of the Donbass War, at least 170 T-64 variants were destroyed, and at least 65 were captured by the NAF. This leaves the UA with 530 operational T-64's. The UA has 72 operational T-72 MBT's. 187 T-80's have allegedly been brought out of storage, overhauled and put back into service with airmobile brigades. The UA may also have up to 16 T-84 MBT's, six being restored and ten added to the 2018 defense budget. This gives the UA a minimum of 602 MBT's and a possible maximum of 785. According to the Kiev Post, quoting UA military intelligence sources, as of March 2017, the NAF has 300 MBT's. Like the UA, these are mostly T-64 variants. This gives the UA a minimum advantage of 2 to 1 in MBT's with a numerical superiority of 300 tanks. The UA has about 6,000 IFV's and APC's, including 1,198 BMP-2's and 100 modernized BMP-1U's. Other UA IFV's include 458 BRM-1K armored recon vehicles, 100 BMD-1 and -2's, as well as 1,000 BTR APC's of different variants, and 1,000 BRDM armored scout cars. The most common UA APC is the MT-LB, estimated at 2,300 units. The UA also has 120 US Army armored Humvees and 20 British Army SAXON Armored Command Center vehicles. Canada has also donated 35 SHREK and SPARTAN APC's to the UA. The NAF is estimated to have about 800 IFV's and APC's. The UA has a greater than 6 to 1 advantage in IFV and APC's. With a numerical superiority of about 5,000 units. The UA has 90 TOCHKA-U tactical ballistic missiles, and has used some of them against the Donbass Republics. The TOCHKA-U has a range of 120 Km and a payload of 1,000 pounds. The UA also has 80 SMERCH 300 mm Multiple Rocket Launchers, and 110 URAGAN 200 mm MRL's, and 450 GRAD 122 mm MRL's. The NAF has 200 GRAD MRL's, and zero TOCHKA-U, zero SMERCH, and zero URAGANS. The UA has a >3 to 1 advantage in Rocket Artillery, as well as advantages in range and payloads, with a numerical superiority of >500 units. The UA has 297 152mm self propelled howitzers, 247 122mm self propelled howitzers and 99 203mm self propelled guns. They have 696 152mm towed guns and 443 122mm guns. This is a total of 1,782 artillery pieces of 122mm to 203mm caliber. The UA also has 575 towed anti-tank guns of 85mm to 125mm. The NAF has about 630 artillery guns of various calibers and configurations. The UA has a greater than 3 to 1 advantage in Heavy Artillery, with a numerical superiority of about 1,150 pieces. The Ukrainian Air Force currently has a total of 238 operational aircraft, including 39 fighters and 66 ground attack fixed wing aircraft. They have 89 transport aircraft and and 87 helicopters, of which 34 are attack helicopters. the remaining 40 aircraft are trainers, which can also be used in attack and reconnaissance missions. The UA has 275 SA-8 and SA-13 short range air defense missile systems. They have 70 SA-19 "Grison" air defense artillery guns, and 20 ZSU-23-4 anti-aircraft guns. They have over 1,000 ZSU-23-2 anti-aircraft guns, which are also deadly in a ground attack role. That is a total of 345 air defense missile systems, and over 1,000 ZSU-23 systems in 2 and 4 gun configurations. The NAF has a small number of SA-8 and SA-13's, MANPADS, and about 400 ZSU's in different configurations, mostly ZSU-23-2's for ground attack missions. The NAF has no air force. The UA has a (minimum) 3 to 1 advantage in air defense artillery. Manpower - 4 to 1, with 75,000 more men on the contact line, 210,000 more men in total. Tanks - more than 2 to 1, with minimum 300 more. IFV/APC's - 6 to 1 with more than 4,000 more. Rocket Artillery - 3 to 1, with more than 420 more. Heavy Artillery - 3 to 1, with 1,150 more. Missile Air Defense - 5 to 1, with 345 more. ZSU-23 cannons - 2.5 to 1, with 620 more. The UA has major advantages over the NAF in every field measured, of at least 100%, minimum 2 to 1, and as much as 6 to 1. What can be surmised from the facts that the UA already has a decisive advantage over the NAF, and yet A) they fail to make their move, and B) they continue to receive arms and training from NATO and the West? Quite simply that the UA is not preparing to fight the NAF, they are being prepared to fight Russia. Vladimir Putin has openly stated that Ukrainian genocide and ethnic cleansing against the people of Donbass "will not be allowed", which clearly means the Russian Army will intervene in the case of a large scale attack. In fact, they have no choice. The anti-Russian sentiment in Ukraine has reached a rabid intensity, and there truly would be genocide committed by Ukrainian nazis in Donbass if they were allowed to overrun the NAF defenses. The people and government of the Russian Federation will never stand by and watch the crimes of the German nazis repeated by Ukrainian Banderists against ethnic Russians in the 21st Century. This is not only a moral and historical imperative, it is a matter of self defense. There can be no doubt that the US government has absolute control over the Kiev regime. The US flags lining the corridors of the SBU in Kiev are a potent symbol of it. The futile response to Sakashvili's illegal re-entry to Ukraine, the appointment of US citizens to top posts in government and state industry, the total dependence of Kiev on Western "loans" which can and will never be paid back, (intending to keep Ukraine in perpetual debt slavery) are the proof of it, of the master and slave relationship between the USA and Kiev. Ukraine, the nation, the people, and especially the military, are being forced into a war they cannot win, as cannon fodder and sacrificial sheep, in order to turn their once proud and prosperous nation into a failed state on the Russian border. A European Libya. This is what Nuland's oft-quoted "$5 billion" was invested for, as well as the IMF's $13 billion. To force Russia into a war on its own border. And to try to turn world opinion against Russia when it is forced to defend itself and its people. According to people here who are in a position to know, between now and the end of the FIFA soccer championships to be held in Russia in June and July of this year, Ukraine's western masters will order a full-scale attack on the Donbass Republics by the Ukrainian Army. It will be a blitzkreig along the entire Front, from Mariupol to Lugansk. The strategy will not to be to seal the borders as in 2014, but to first occupy the cities of Gorlovka, Donetsk and Lugansk themselves. These three major cities are all directly on the front lines, and a ukrop advance of a mere dozen kilometers will put them in the heart of all three cities. Enmeshed with civilians and critical infrastructure, the UA will consider themselves immune to Russian artillery and airstrikes. It is well known that the US military operates multiple bioweapons labs in Ukraine - in Odessa, Vinnytsia, Uzhgorod, Lviv (three), Kharkiv, Kyiv (four), Kherson and Ternopil. The US Air Force's recent collection of Russian DNA is, in fact, a legitimate justification for intervention against US bioweapon production in Ukraine. Let's consider what this attack and subsequent intervention and liberation will look like. The ukrop offensive will begin at dawn, after a long night of heavy artillery attacks on NAF front line and second line positions all along the Front, from Lugansk to Mariupol. As the ukrop troops and armor advance toward front line NAF positions, ukrop Smerch, Uragan and 152mm howitzers will open up on the 3rd line reserve barracks of NAF troops in the city centers. But our second and third line troops will have already moved out the night before, because the ukrops cannot make a move that we do not know about days in advance. The ukrops will meet heavy resistance on the front line positions. The NAF will not surrender or retreat, and while many positions will be overrun due to the massive advantages of ukrop arms and numbers, breaking through the front line will be a costly and difficult undertaking. The second and third lines of defense will have taken up their combat positions in their own hometowns, on territory they know intimately, and which has been prepared, like the soldiers themselves, for urban combat. Twelve hours after the ukrop offensive begins, the Russian liberation will begin. There will have been enough atrocities and civilian casualties in the first half day to justify Russia's reaction to the world. Sergey Lavrov and Vasily Nebeznya will have a busy few days, but the Russian MOD will not be waiting on the results of their work. The MOD will be showing the results of their own. Within 24 hours, the Russian and Novorussian Armies will control Lugansk, Mariupol, Kharkov and Kherson. At the same time, airborne troops will take control of the Ukraine/Polish border. Within the next 48 hours, they will control Donetsk, Odessa and Kiev. There will still be pockets of nazi resistance, but the Russian Army knows how to deal with that. The military campaign will be intense, but over quickly. Nazis and war criminals will be rounded up and dealt with according to their crimes. Some will require only "re-education", others will spend the rest of their lives rebuilding what they destroyed. Criminal oligarchs such as Kolomoisky and Akmetov will face prison and have their assets nationalized. Though Ukraine and Russia do not have capital punishment, justice will be done. The reunification of Ukraine and Russia, politically, economically, socially and militarily will begin. The US government and its owners may howl about "Russian aggression" and "national sovereignty", but their hypocrisy will be more than evident. Europe will not be willing to risk itself in an actual shooting war with Russia, nor will it be willing to support nazi war criminals against Russian liberators. While the fascists who control the USA and Canada may be willing to go to war with Russia to "defend Ukraine", a war without Europe's support will be logistically impossible for them. Faced with a choice between Russia's fait accompli in Ukraine or a third world war, even the pro-nazi lunatics in the West will make the only sane decision. So, in the end, Ukraine will return to the Russian family, to the rightful place it has occupied for 1,000 years, and the cynical experiment in 21st Century fascism will meet its just desserts. And afterwards, Russia, and hopefully, the world, will be on guard against those who would attempt to turn brother against brother and revive the vilest political philosophy the world has ever known.